It is a pleasure to welcome you to the PICMET ’18 Conference, which we believe has brought together the best of the knowledge available on technology management in the academic, industrial and public sectors. We hope you will enjoy the “PICMET Experience” by exchanging ideas and sharing your perspectives with the other top researchers, educators, industry executives and government officials who are here to contribute to PICMET ’18 and to benefit from it. The Conference has a rich program, starting with the opening reception on Sunday, August 19th and continuing with plenary sessions, regular paper sessions, panel discussions and special sessions from 08:30 on Monday, August 20th until 15:30 on Thursday, August 23rd. There are plenty of networking opportunities during the bright start (light breakfast from 08:00 to 08:30), two coffee breaks (10:00-10:30 and 15:30-16:00), the reception on Sunday evening, and the dinners on Monday and Tuesday. We hope you will enjoy them all. Once again, welcome to the PICMET Experience, and thank you for joining the global leaders of technology management in academia, industry and government. Have a wonderful, productive and enjoyable week. The Mayor of Honolulu, Hon. Kirk Caldwell will address PICMET'18 guests to welcome them to Honolulu at the beginning of the Plenary Session on Monday, August 20. Mayor Kirk Caldwell studied Urban Planning and Economics at Tufts University, earned an M.A. from the Fletcher School of Law and Diplomacy, and received his law degree from the UH William S. Richardson School of Law. 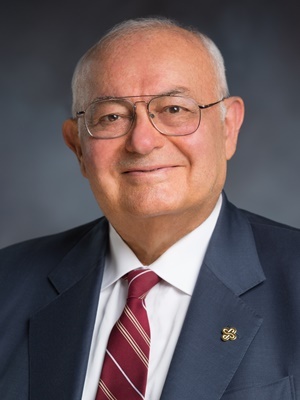 He was Managing Partner at the law firm of Ashford and Wriston and began his public service career in 2002, when he was elected to the Hawai‘i State House of Representatives where he quickly rose to become the House Majority Leader. 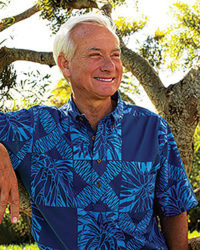 In January 2009, Kirk was appointed Managing Director for the City and County of Honolulu, and later served as Acting Mayor in 2010. During his tenure at the City, Caldwell was the primary point person for O‘ahu’s biggest issues, transit and homelessness, and successfully expedited $150 million in road repaving. He was elected Mayor of the City and County of Honolulu in 2012.